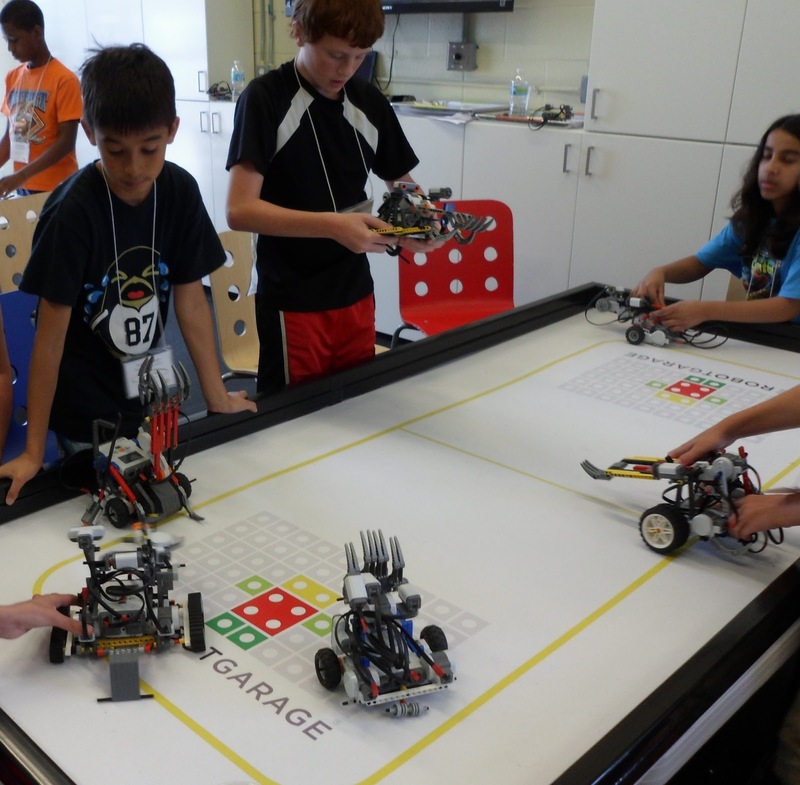 The Robot Garage is a year-round place for LEGO® building and robotic enthusiasts of all ages. Working closely with leaders from the robotics and education community, The Robot Garage provides hands-on experiences that are as entertaining as they are educational. 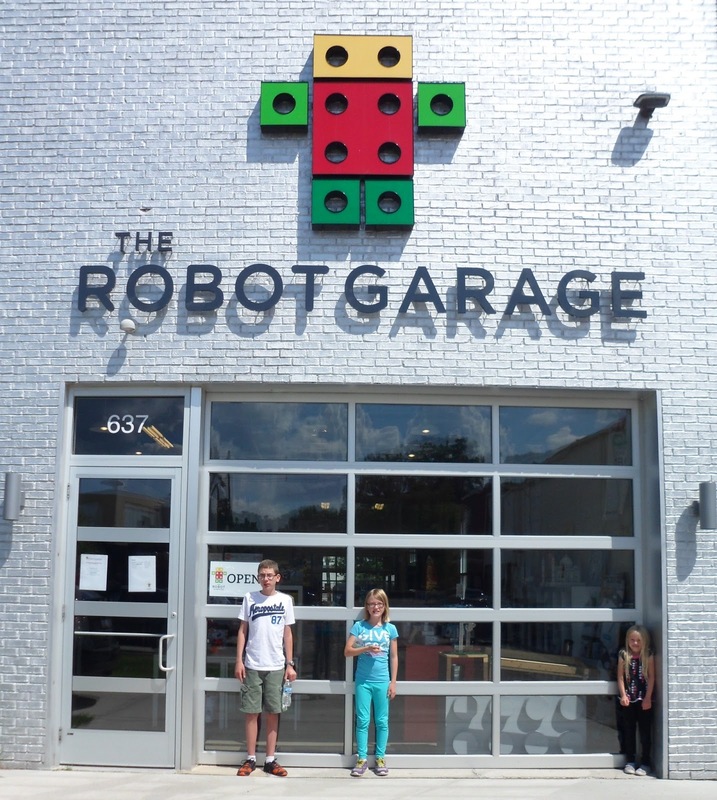 The Robot Garage offers camps, classes, birthday parties, field trips, and shopping for LEGO and robotics enthusiasts of all ages. While we were there my daughters worked on building their own parks in the drop-in area. My older daughter made a dog and fountain on hers. My youngest built one with turtles and fountains. A couple of boys made shields & weapons. Many of the girls loved making bracelets out of the brightly colored LaQ® pieces. Preschool aged kids have their own table of DUPLO® bricks to play at. My son played with every type of block and robot. He can't wait to go back again. There is a robot you can race around a track. He got the high score. There is also a robotic arm, much like the one he built during Science Olympiad earlier this year. It was nice to just sit and talk with another mom while the kids played. They also have free Wi-Fi to keep you busy. 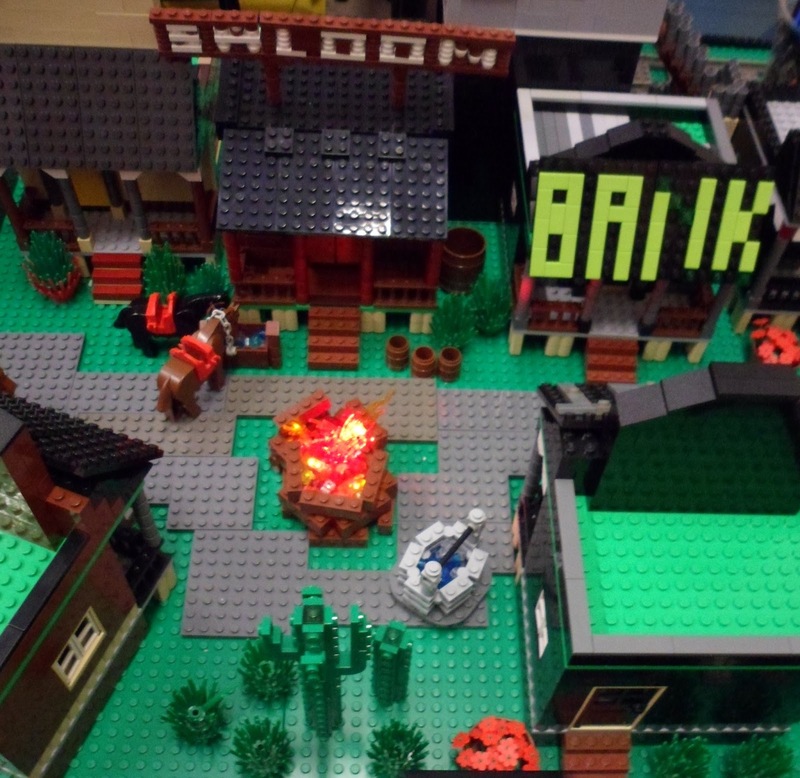 We spent awhile checking out every cool detail of the huge theme park built by the summer campers. Then we went shopping. My kids added plenty of items to their wishlists. TRG offers 7 weeks of camp on a weekly basis starting June 24th and ending August 23rd. Camps offer something for every age from LEGO® building to advanced robotics. Special July Camp discount offer: Use promo code "mediamoms" and save $50 off the regular price. Offer subject to availability while space remains. 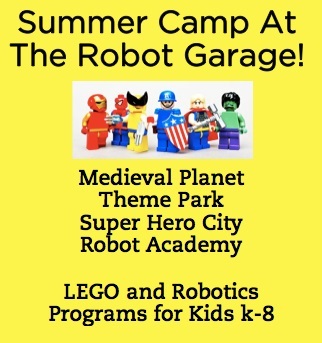 Register online at The Robot Garage or call 248-723-9100. Stop by to build with LEGO® and DUPLO® bricks, LaQ®, and other building toys. Dig through a pile of assorted pieces and create a plane, a train, a habitat for a family of wild animals, or build an abstract creation of your own. 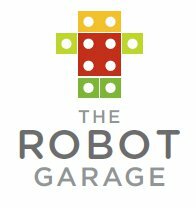 The Robot Garage offers 20 foot ceilings, brightly colored walls, and an unstructured studio setting with everything you need to spend a special morning or afternoon together with your children. Builders may purchase what they build by the pound or leave them for others to enjoy. The Robot Garage is located in Birmingham at 637 S. Eton, about halfway between Lincoln and Maple. If you have never been to TRG, please note that Google Maps does not correctly position the street address. 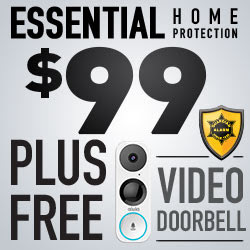 If you need driving directions, please follow the link provided on this page: http://therobotgarage.com/contact.cfm. Also note that the building is well away from the street between 2 other buildings and behind the parking lot. Parking is free.